Thank you to SKIPPY® Peanut Butter for sponsoring today’s post and inspiring me to try a new holiday recipe! Dips are a holiday favorite of ours for many reasons. One is that they are very easy to serve and two is that people can dish out the exact portion they want onto their plates. This is especially a good thing when you are having people over for a pot luck dinner. Rarely does anyone want a full sized portion of food when they have so many things to choose from! 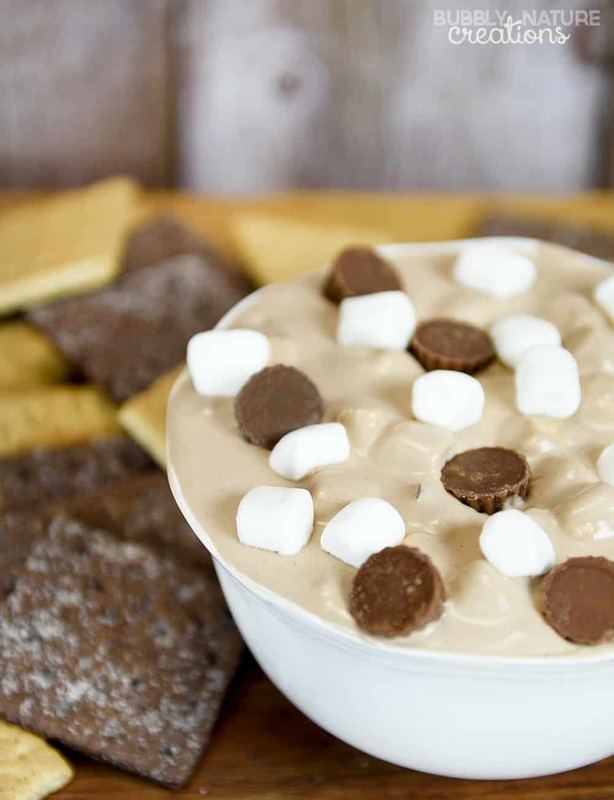 One of my new favorite dips is this Peanut Butter Cup S’mores Dip! 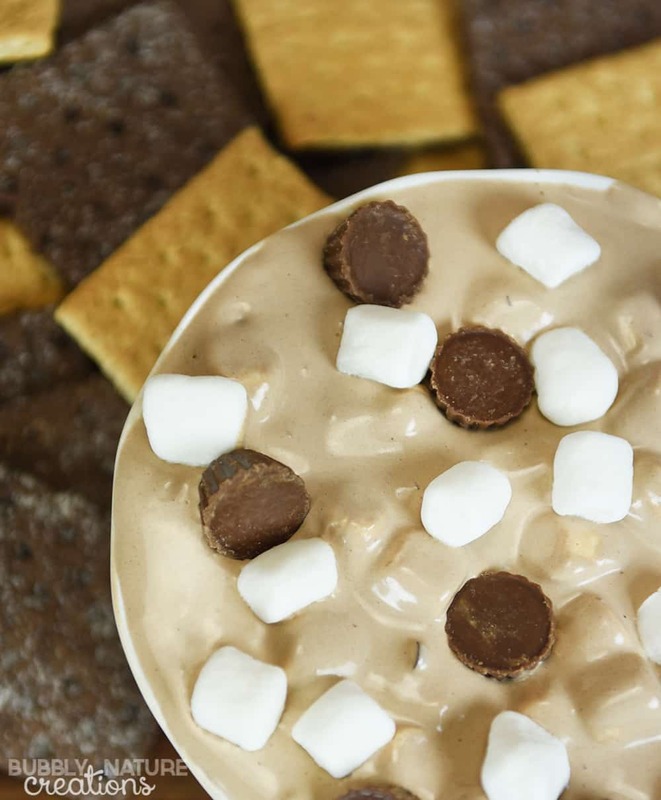 Two of my favorite things to put on graham crackers are peanut butter and s’mores toppings. 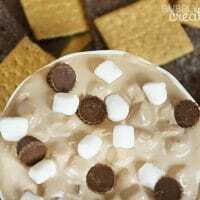 With marshmallows, chocolate and peanut butter, this dip satisfies both of those flavors, and tastes terrific! We used SKIPPY® Natural Peanut Butter Spread which made this dip absolutely amazing. We love this dip served with some graham crackers or apple slices! We eat this as an after school snack on occasion too. It’s surprisingly light even though it has chocolate and peanut butter. The marshmallows add just the perfect amount of sweetness to it! I only buy natural peanut butter and I love the SKIPPY® Natural Peanut Butter Spread because it’s no stir. The creamy texture from the SKIPPY® Natural Peanut Butter Spread was perfect for this dip. I can always easily find the SKIPPY® Natural Peanut Butter Spread at Walmart! 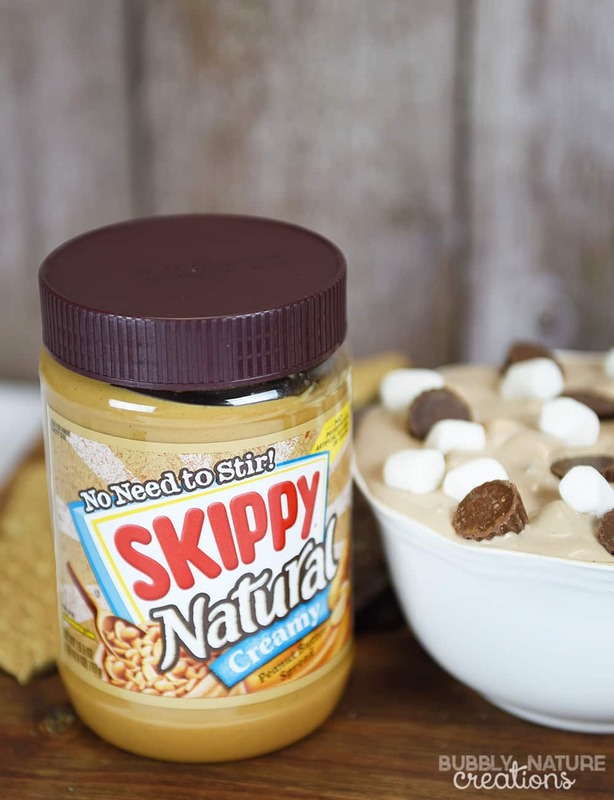 Be sure to check out the SKIPPY® Natural Peanut Butter Spread coupon here! I think you will love this recipe too! In medium bowl, combine peanut butter, milk and cocoa powder. Fold in whipped topping, then marshmallows, chocolate chip and peanut butter cups. Pour into a bowl and add more marshmallows and peanut butter cups to the top. Serve with graham crackers. What do you love to make for the holidays that has peanut butter? I’d love to hear your recipe ideas!